Creativity is never ending. The advancements in technology has introduced new ways to put creative ideas into actual useful designs. The evolution of 3D technology played an important part in creating new breakthroughs dominantly in films, animation, gaming, architecture and now even in graphic design. One major aspect of design that we love is typography which current trends include 3D rendering mostly used in advertising and print. 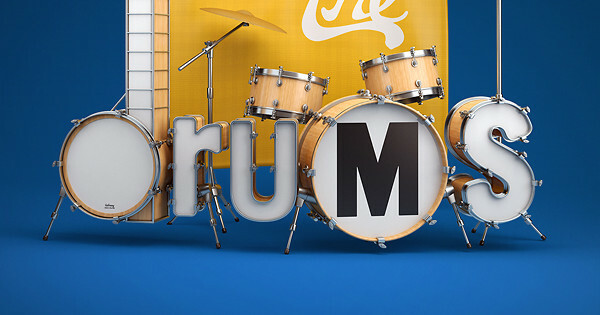 There are a bunch of designers who have been adapting the 3D style in typography works. One artist who stand out is UK-based designer Chris LaBrooy. His typography projects are often a combination of type and related objects all rendered in 3D. Chris crafts everyday objects either a furniture or buildings injected by a familiar quotation in a refreshing way. Creating his unique and playful 3D typographic designs has opened opportunities for him to do some exhibits such as in Design Museum London and various clients like Time Magazine, AT&T, NY Department of Transportation, Future Publishing and Microsoft among others. Scroll down below for more of his 3D typography works. Click on the image to see more information about each project. Enjoy! Check out Chris LaBrooy’s Behance portfolio for more of his playful designs. Share us your thoughts about Chris’ works by commenting below.